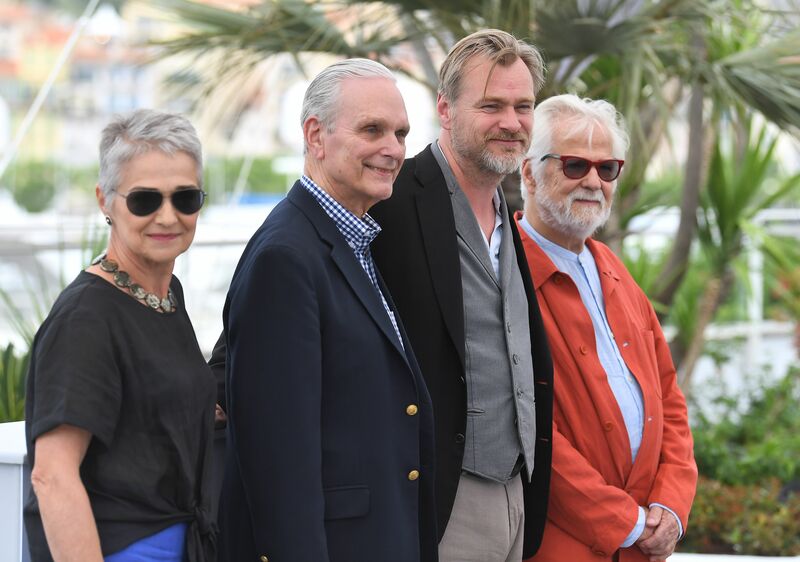 As Cannes director Thierry Fremaux sought to bolster his auteur lineup this year, he brought in Martin Scorsese to open the festival with his “The Aviator” star, Cannes jury president Cate Blanchett. The New York filmmaker also introduced his Film Foundation-restored 1946 Cannes Classics entry “Enamorada,” Emilio Fernández’s Mexican revolution romance starring icon María Félix, who became a favorite of Jean Renoir and Luis Buñuel. “Black Panther” director Ryan Coogler showed his blockbuster at the Cannes outdoor cinema on the beach, and submitted to over 90 minutes of friendly grilling from American buddy Elvis Mitchell. Nolan will introduce a Sunday 70mm Cannes showing of a new print of Stanley Kubrick’s movie with the director’s daughter Katharina, her uncle Jan Harlan and star Keir Dullea on hand. The occasion had a personal resonance for Nolan, who said his father took him to see a re-release of “2001” in London when he was seven. That’s when he learned that “films can be anything,” he said. “What Kubrick did in 1968, he simply refused to acknowledge that there were any rules you had to play by in terms of narrative.” Here are some Nolan highlights.